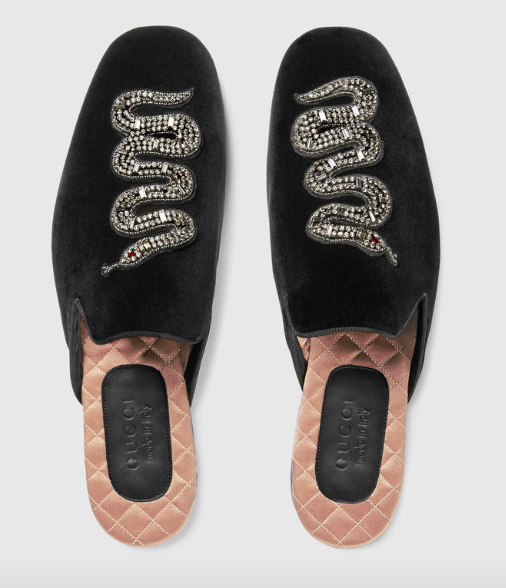 Maybe you've gotten your fill of the loafer. 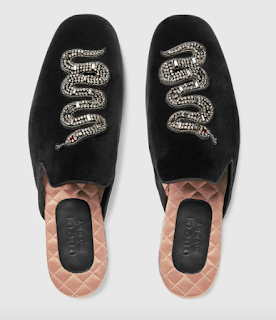 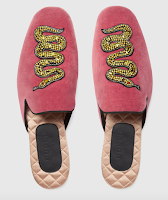 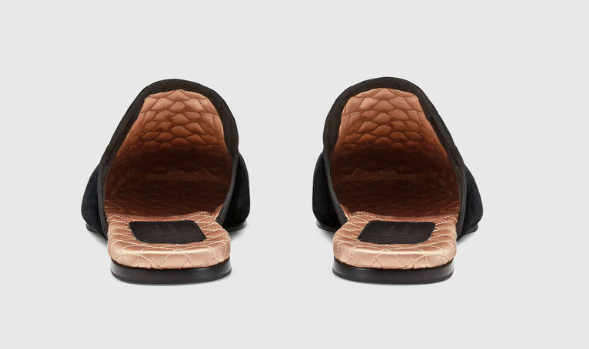 Not that the loafer is passé by any means but Gucci has got a nice update for your dandy evening with their Velvet Evening Slipper With Snake detailing. 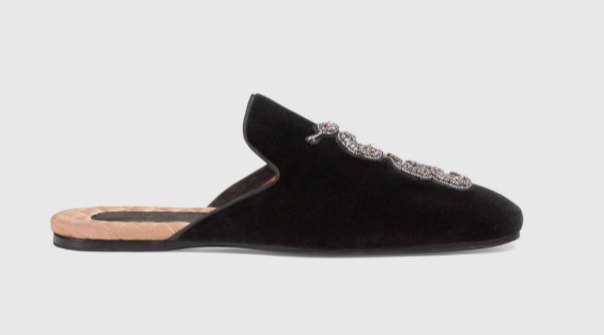 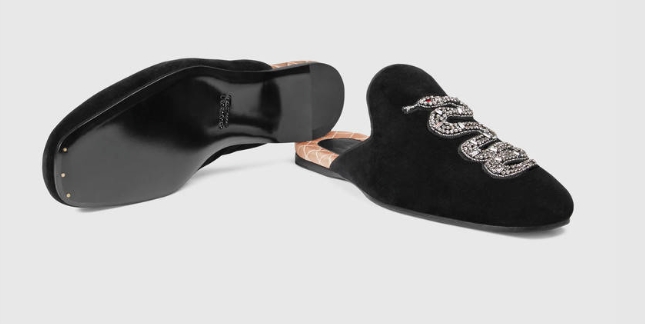 Featuring a full crisp suede upper, this slipper boasts a crystal embroidered and appliqué snake motif on the vamp, a quilted satin full lining and footbed and leather sole. 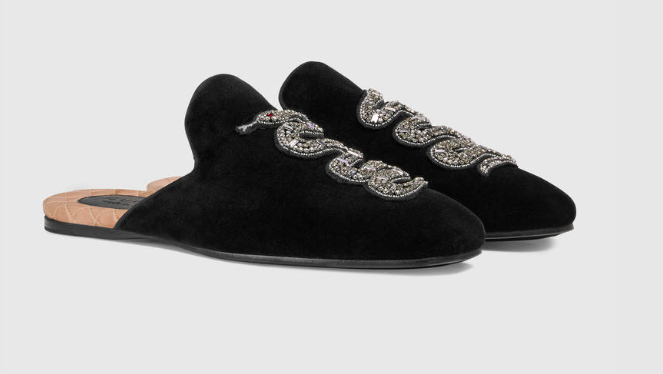 Pair this with your trim tux trousers, tapered seasonal denims and cropped cuffed trousers, but just make sure your feet are tended to, they are slippers after all. 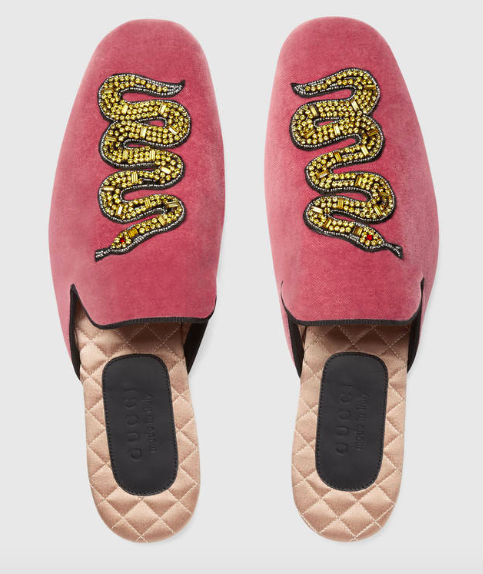 Available now in all color ways at Gucci.com.